Don't wait until you need to take the burning hot lid off your dutch oven or other cookware and have to attempt it with a stick. 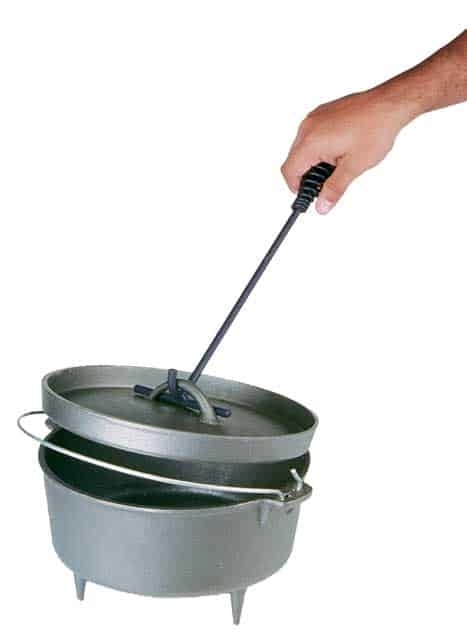 Come prepared with this 15 inch dutch oven lid lifter! Constructed of durable steel. Works with any slotted handle lid.